Sometimes we forget to think before we say something. This can have an awful effect on the person we are speaking to and it can dramatically change your relationship with someone. We often tell children ‘Oh that isn’t very nice. Say sorry!’ and the child says sorry and thats the end of it. The next day it happens again. I was quite alarmed with how hurtful some comments were and how upset children became by them so I started googling and found a good lesson which I have changed. Today I used this lesson and the results were fantastic. 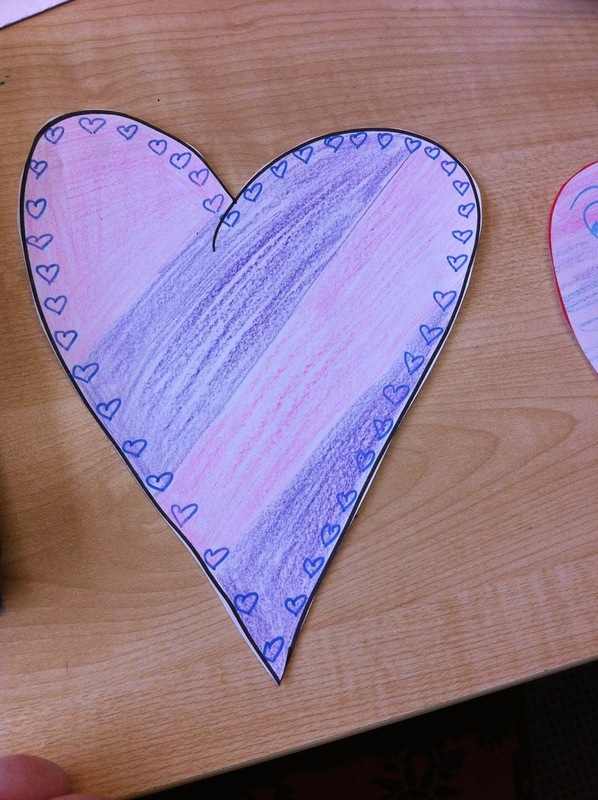 First get the children to draw/decorate/design a heart. Spend about 5 minutes doing this. When the time is up, children should discuss what they like about their heart. Take a photograph to show how important the hearts are. Finally open the heart and ask – “Does your heart look the same? Why?” The children will notice it didn’t. 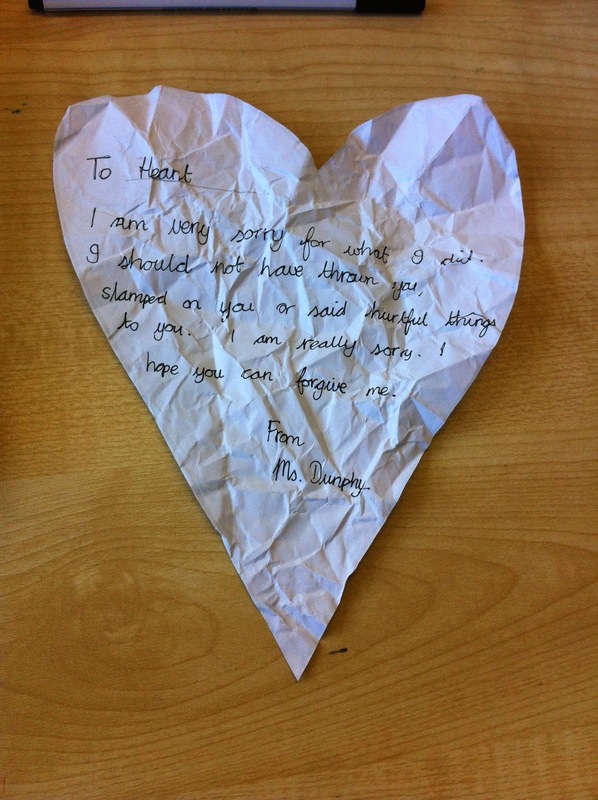 Then apologise to the heart and write a note saying sorry on the back. 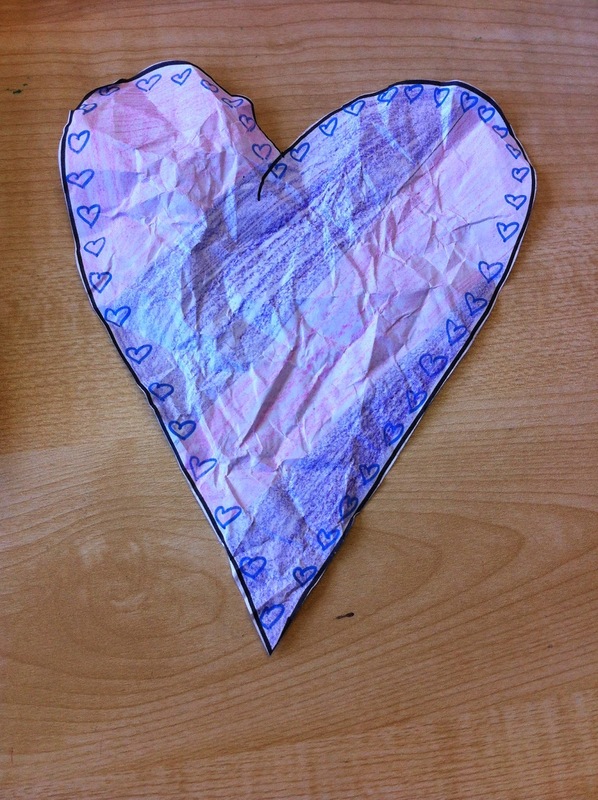 Following this, ask the children if the heart had returned to normal and they notice it hadn’t. Children realise the importance of thinking before you speak, sometimes even when we say sorry it doesn’t make the person feel better. It can sometimes be difficult to forget the hurtful things someone said to you and this can change the friendship between two people.